Simple. 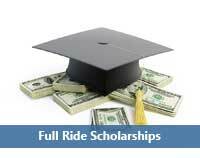 Use the Full Ride Scholarships spreadsheet created by Wendy Nelson of MyKidsCollegeChoice.com. Wendy has been working on this spreadsheet for years. It lists all US colleges that offer full-ride or full-tuition merit based scholarships. It contains 606 colleges in 49 states with over 1,200 scholarships. If you’re looking for full ride scholarships, this spreadsheet is the place to start. 100 of the scholarships require an ACT score of 25 or less; 99 require a 1200 or less on the SAT. Over 180 are automatic scholarships students qualify for without any separate application. The public college information shows if the scholarship is limited to in-state or out-of-state students. The spreadsheet also indicates if international students are eligible. The most amazing thing is that Wendy only charges $14.95 for the list. This is probably the best deal you’ll ever get for less than fifteen dollars. 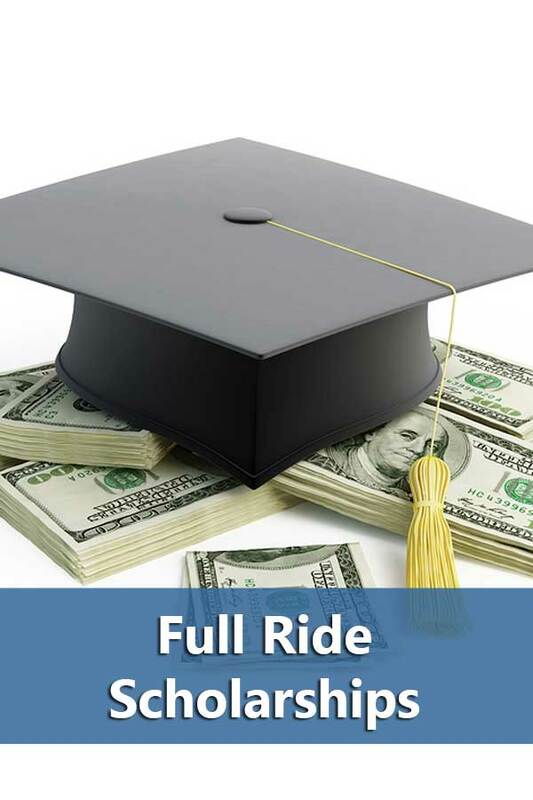 Get your copy of the Full Ride Scholarships spreadsheet now. Is the cost 14.95, or is the sentence following it incorrect that says “less than ten dollars”? It’s $14.95. Sorry for the error, I’ve got it fixed. Still an amazing deal.